This film is about a woman, Cheryl, a young lesbian woman who is working in a film store who makes home videos for people on the side. 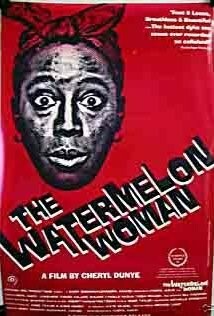 Cheryl picks up a particular interest in films from the 1930’s and 40’s that star a certain African woman actress who is not credited but is known as “the watermelon woman”. Cheryl decides to create a documentary about the “watermelon woman” while trying to both keep her day job and balance the realities of lesbian and interracial relationships both romantically and within the workplace.